You are currently browsing the daily archive for October 27, 2012. 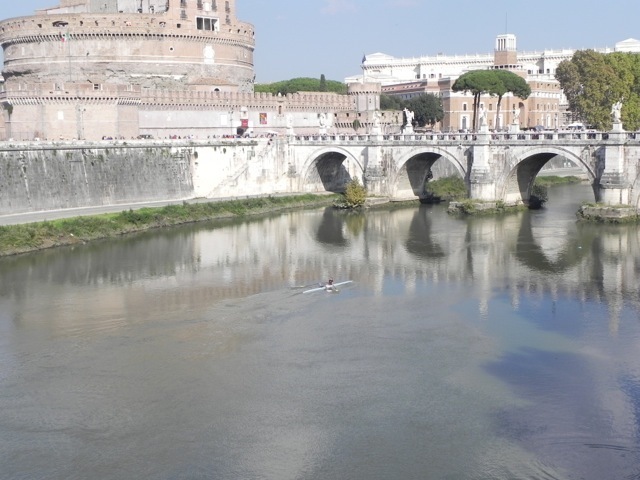 This looks like but is not a “scull-vaults-palms” foto. guess the location? Here’s a bit more context. Answer follows. Different context . 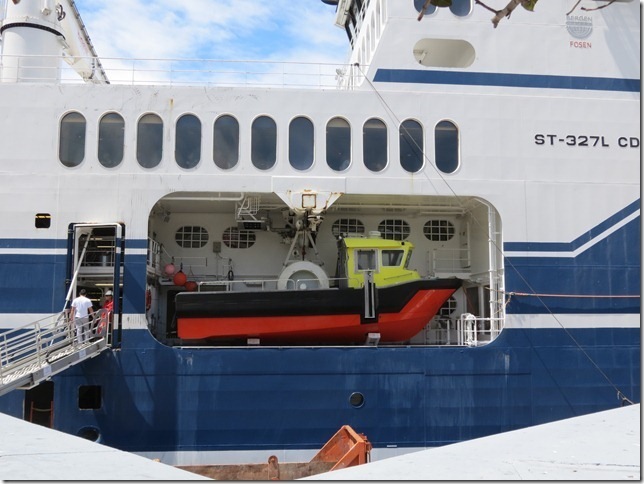 . . know this vessel and location? Given the five boros’ idea these days for a BIG WHEEL on the waterfront, these things are recyclable!! You can buy a preowned wheel or even rent one. Who knew!?@!! Also, note the stealthy one hoping to catch a ride on the floating pier? 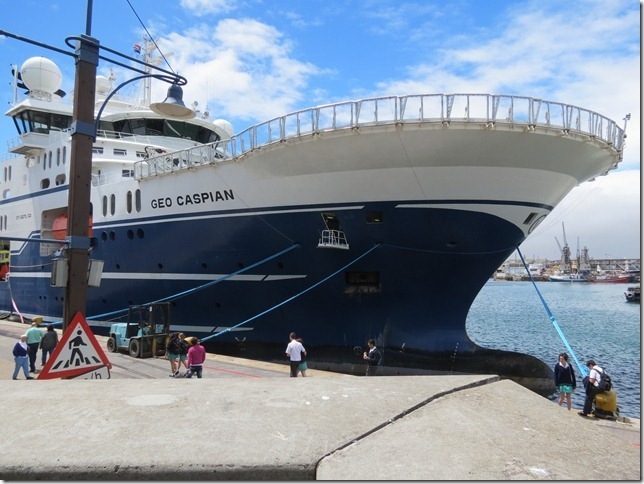 Vessel is Geo Caspian, and AIS says therefore this must be Cape Town. 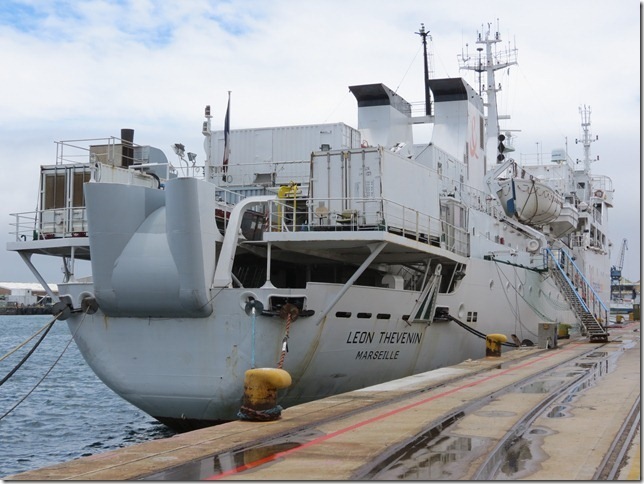 Also in Cape Town at the moment is CS Leon Thevenin. 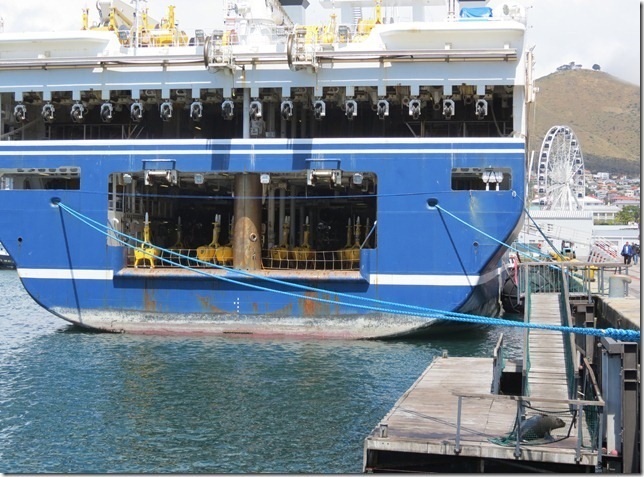 She replaces CS Chamarel, which was lost off Namibia in August 2012. The four Cape Town fotos all come from Colin in Cape Town. 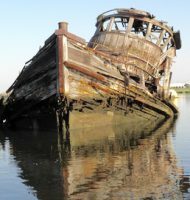 Colin and Pamela Syndercombe sent along info and fotos of the move overland of the South African steam tug Alwyn Vintcent; click here for the latest newsletter on this project. 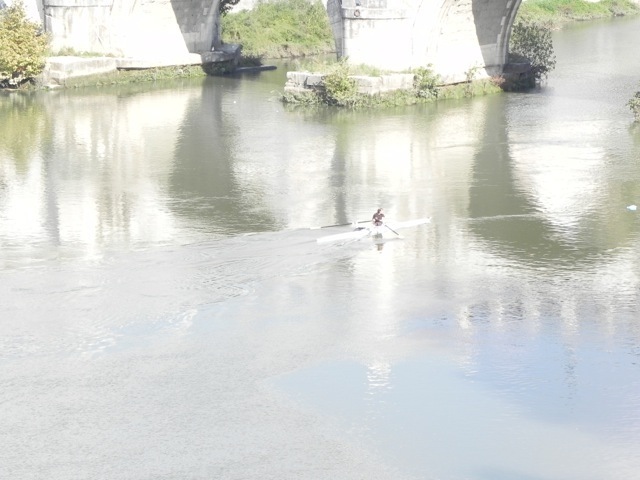 The top two I’m using thanks to Maureen, who got the fotos on the scull on the Tiber in Rome. Last spring Maureen sent these intriguing fotos from Venice. For info on a manufacturer of big wheels . . . a la Staten Island, click here. Click here and scroll all the way down for pics of big wheels in different cities.